Sorry but these kind of pictures remind me of all sort of bulls**t likebait stuff that's all around internet. 1 like = 1 pray for CSC CAN WE GET 500.000 LIKES SO PRESIDENT DONALD TRUMP WILL SEE THIS? Bitrue is a good exchange. I'll buy more CSC on there if/when it gets added. 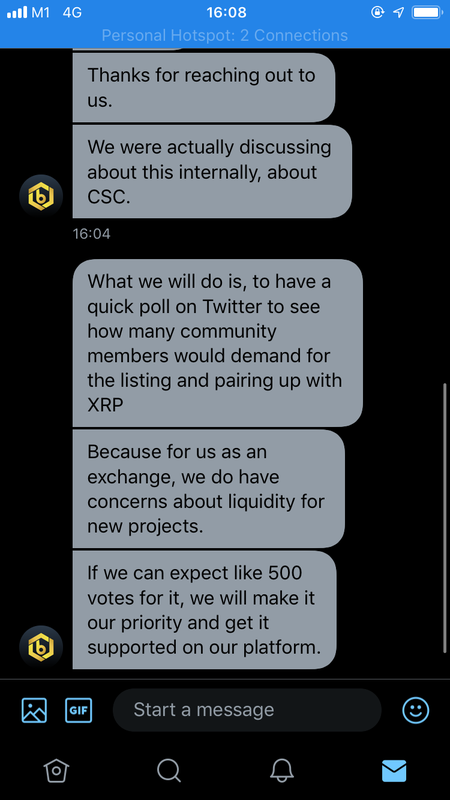 Definitely need all the exchanges we can get. $966 TRADED IN 24hrs on NLexch. That is about as illiquid as you can get.